One of the great things about living here for one year is getting to know even more about Hakkaisan beyond the delicious sake. One place I spend a lot of time is Hakkaisan’s Uonuma no Sato. 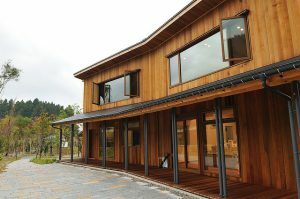 Clustered around Hakkaisan’s Daini Kowagura Brewery, where Hakkaisan Seishu and Tokubetsu Honjozo are produced, Uonuma no Sato is a group of shops, cafes and restaurants that beautifully illustrate the connection between Hakkaisan and the local culture and community. Over the next few weeks, I’ll profile some of these facilities to introduce you to even more of what Hakkaisan has to offer. Last time I featured Uonuma no Sato’s Hachikura which specialized in traditional Japanese gift wrapping. This week, I’m thrilled to introduce you to Satoya Cafe! I often spend a lazy saturday here enjoying coffee and their signature cake! But this is not just any cake – of course it’s sake cake! 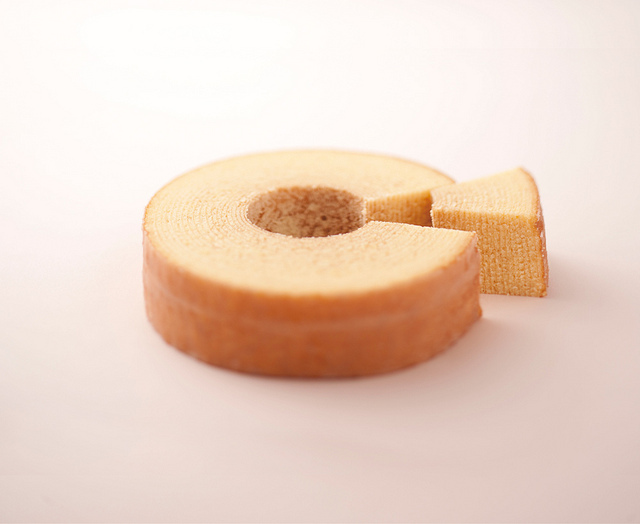 Hakkaisan “Satoya” Baumkuchen. Sake Kasu is used in the batter! “Hakkaibaum” Hakkaisan Daiginjo sake is used in the glaze for this baumkuchen. Satoya is the brainchild of pâtissier ### Sato. He worked with Hakkaisan to open Satoya and create a line of Hakkaisan sake-infused desserts and sweets. The centerpiece is several types of “baumkuchen”. This is a cake that originated in Germany and is baked in a very unique oven that uses a spit to cook the log shaped cake in many thin layers. When sliced open, the cake layers look like the rings of a tree! 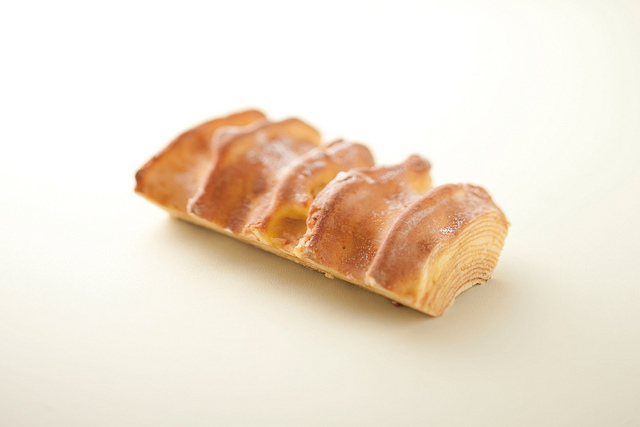 Satoya sells two Baumkuchen that use sake. The Hakkai-baum uses Hakkaisan Daiginjo sake in the sweet glaze on the cake. The　Satoya-baum mixes in Hakkaisan sake kasu (the left over rice after pressing the sake mash) right into the batter, giving the sake a heavenly sake taste. In addition to Baumkuchen, Satoya also makes other treats using Hakkaisan sake! You can enjoy Hakkaisan sake jelly or Hakkaisan Daifuku as well. 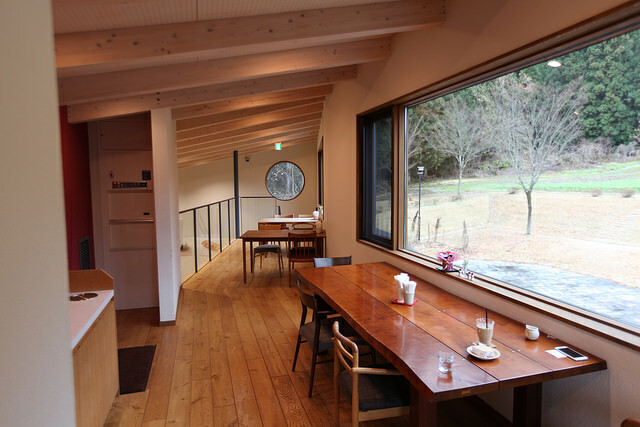 Once you’ve selected your sweets, you can go to the cafe seating upstairs to relax and enjoy the views of nature and the seasons from the large picture windows. It is incredibly relaxing to sip on coffee and watch the snow fall outside during a snowy afternoon at Uonuma no Sato! If you every have a chance to visit Uonuma no Sato, I highly recommend a visit to Satoya. Cafe seating upstairs at Satoya. Beautiful views of nature from these windows! This entry was posted in Tim's Corner on February 15, 2017 by hakkaiedit.